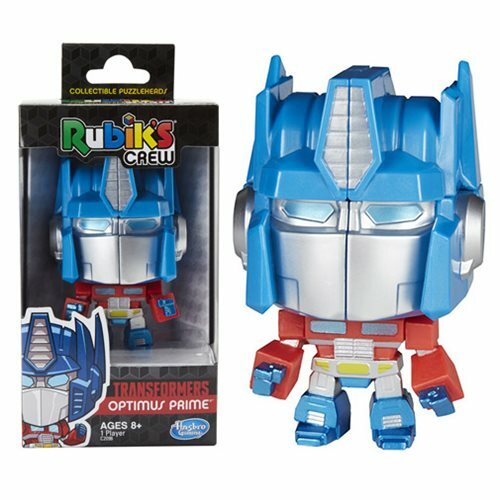 Straight from Cybertron, it's the Transformers Rubiks Crew Optimus Prime Figural Game! For one player, this figure can be moved around and maniuplated to form a figure or something a little less organized. The leader of the Autobots comes boxed with his head on straight - and you can change that as you manipulate the pieces and forge something entirely different! Ages 8 and up.